More and more people are buying 4WDs and SUVs, so many in fact, they stand as one of the fastest growing vehicle groups in New Zealand. With many of today’s manufacturers getting on NZ roads, including Jeep and BMW, producing their own models, 4WDs (4 wheel drives) are here to stay for good as trend suggests. The tyres are the only part of your vehicle that makes contact with the road, dirt and everything between, that’s why we at Taha Auto Auckland want to ensure that your tyres are in good condition. Our customers usually prefer multi-road tyres that are able to deliver controlled stability and traction of a variety of roads. However, when it comes to off road regions, these tyres lose their durability and control quite fast resulting in unfavorable conditions. 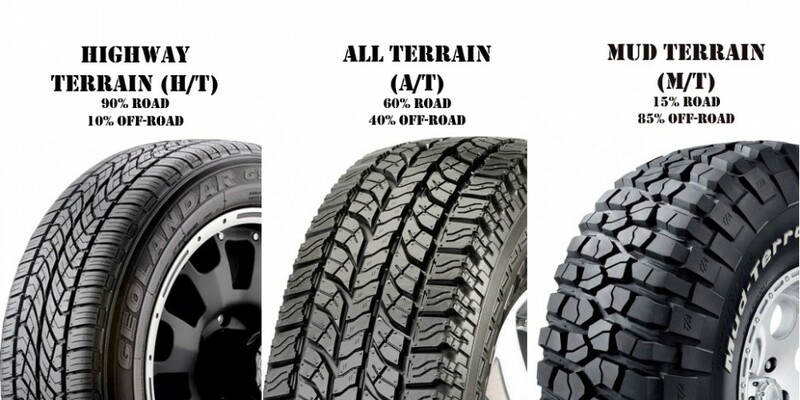 Therefore multi-road tyres should be avoided when taking to off road terrain, in answer to this 4WD series tyres provide the perfect solution. Our 4WD Tyres Auckland team assist our customers with a quality service to suit their 4WD tyre inquiries. Our impressive range of tyres also includes a selection specifically designed for 4×4 vehicles. These specialist 4×4 tyres have been designed to significantly enhance the safety and performance of your car – as well as improve its aesthetic appeal – whether you use it for heavy, off-road driving or simply for the school run. We supply an extensive selection of 4×4 tyres, including cheap, budget tyres and well-known branded tyres. Our 4WD Tyres Auckland team will help you choose the perfect new or replacement tyres for your individual requirements and will then fit them to the most superior standard, ensuring flawless functionality and exceptional levels of customer service. As with any regularly-used vehicle, quality tyres are an essential part of the overall experience. 4×4 tyres demand high performance along with comfort and durability. Because of this, we here at 4WD Tyres Auckland, we offer an extensive range. Kiwis love 4WD and Utes. Here is a top models bought in New Zealand during last quarter of 2017. We understand that the typical New Zealander is money conscious, especially when it comes to 4WDs. The cost of fuel is on the rise, that’s why a new set of tyres will provide your 4WD with the fuel efficiency it deserves. The capabilities of Off Road 4WD Tyres are endless; you are able to get high performance driving in the most unstable areas, bringing you a new and exciting driving experience. The reason behind it is the skilled engineering performed by the designers on such Off Road 4WD Tyres. Other useful features of 4WD tyres include: dry grip and wet grip properties of the tyre, wear and tear based testing, continuity, controlled traction, and also high-end comfort zone while driving. There are other features testing involved as well, but these are the obvious and the necessary ones to check for the quality of the road tyres. At 4WD Tyres Auckland we can provide you with information to inform your choice before your purchase. Call 4WD Tyres Auckland team at 0800 102 249 and we’d find you the perfect pair of tyres for a long ride.